By the press and standalone low speed range. Suits all mould shops and materials. A great value, simple and easy to maintain machine. This patented technology accurately pulls large, bulky reject parts into the cutting chamber. 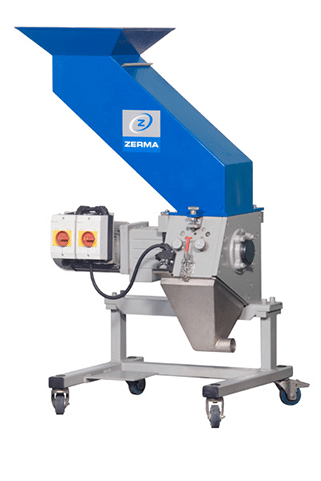 The rotational cutters of the Masher are assembled on a rotating shaft, fixed in a frame which is located between the hopper and the cutting chamber. Cutters grab the parts and direct them easily into the cutting chamber blades. 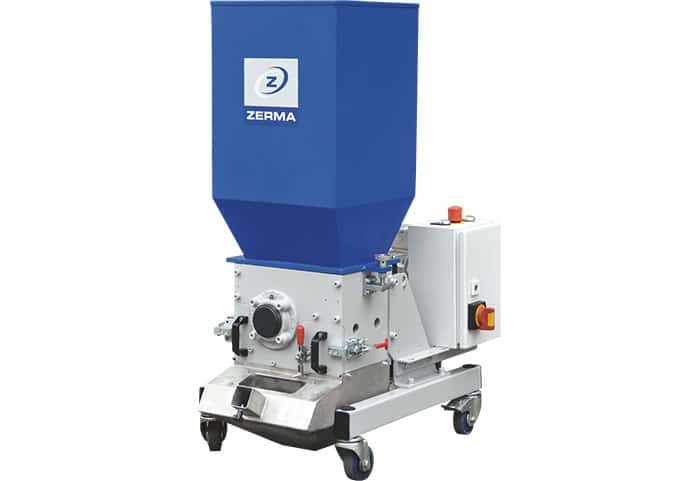 At the other end of the range is a very compact slow speed granulator, weighing only 45kgs and only 570mm tall, it is ideal for the recycling of very small sprues (maximum diameter 6mm). This granulator will process glass fibre material. Special knife design makes adjustment unnecessary. Low rotor speed creates less noise and dust. Easily customisable to suit different applications.